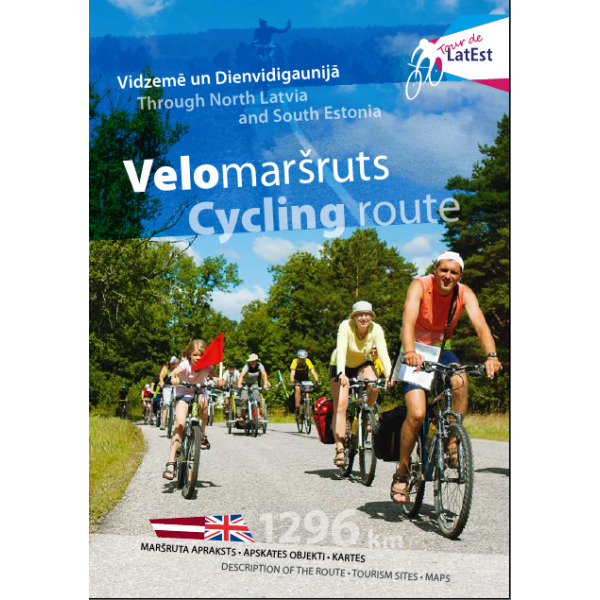 The cycling route “Tour de LatEst” goes through two countries – Latvia and Estonia. The total length of the route is 1075 km. About a half of the road surface is asphalt and the other half – gravel. It must be taken into account that the quality of gravel roads changes depending on the weather conditions and road maintenance intensity. The route is very versatile in its scenic, visual, and informative qualities. By going on this tour, you can learn about the heritage of cultural history of Latvians and Estonians, visit the most popular tourism objects, and see the daily lives of the local inhabitants. The route crosses several protected natural territories of European importance – national and nature parks, scenic areas, and the biosphere reserve. More information about the cycling route and project Tour de LatEst can be found here! Brochure published in 2010, some information might be outdated! More information about the cycling route and project Tour de LatEst can be foundhere!